The one thing you must learn before you dive is how to ‘equalise’. This novel way of neutralising the increasing water pressure on your body as you go deeper needs some getting used to. When you’re on land, just a yawn can do the trick, but when you’re underwater and with a breathing device in your mouth, the Valsalva manoeuvre is your only defence against an exploding blood vessel and much worse. So you pinch your nose shut, count to three and breathe out a ferocious stream of bubbles in the sea. Why did I need to learn this? Because I was diving to a respectable three metres to a coral reef off Wandoor beach in the South Andaman island. What most people don’t realise is that diving is fairly easy, and you don’t really need to know swimming to be a diver. As my genial instructor Seemant Saxena, explains, all you need to do is relax. “Stay calm, don’t panic,” his motto. Easy to say when you’re an expert, but what about someone who’s wary of water, let alone the sea? But with the promise of coral reefs, I wasn’t going to let something as piffling as paranoia get in my way! And anyway, Seemant did promise that there would be no swimming involved, only gliding. And the corals! They feed all the clichés and more, from diverse marine life to crystal clear waters, and huge reefs. It’s an overcast day. The lack of sunlight, so vital to a reef system, allied with choppy waters, means that by the time we dive in the afternoon, marine life isn’t as abundant as it could be. But for a newbie like me, it’s good enough. 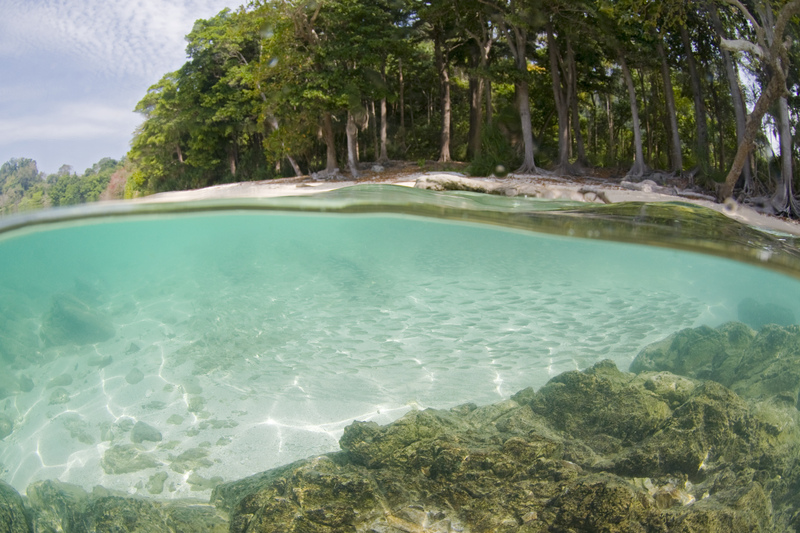 Andaman has fringing corals, which means that they occur close to the coastlines and radiate outwards forming a boundary. 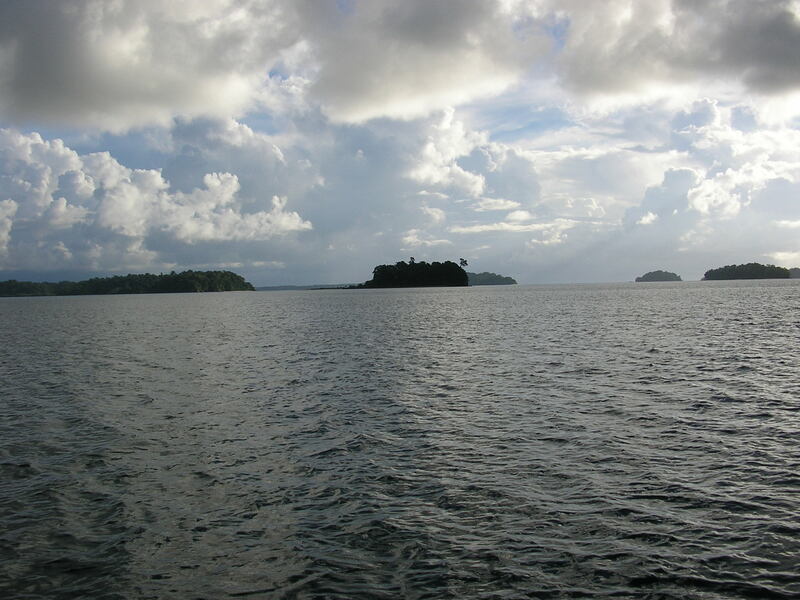 All the islands of the Mahatma Gandhi National Park, some 40 km south of Port Blair, are coral islands, with mangroves on one side and sandy beaches on the other. 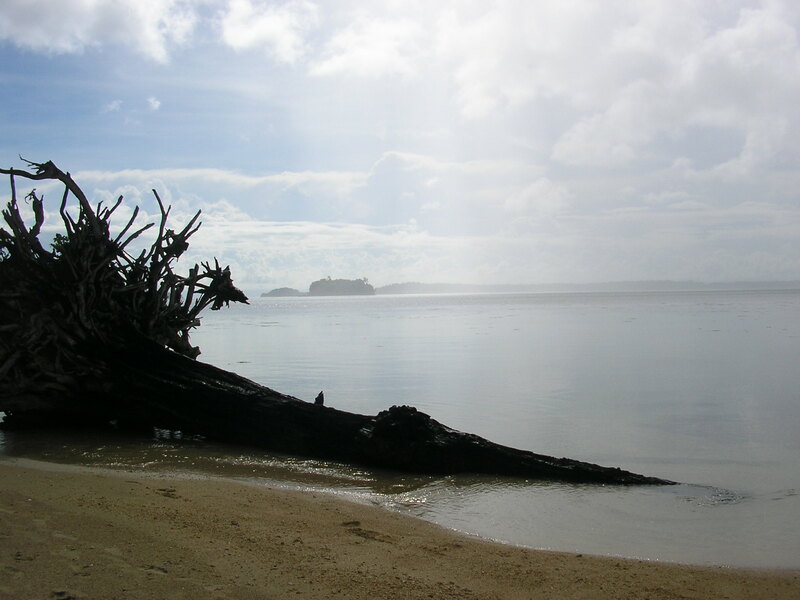 Typically, the reefs are several hundred metres wide, and separated from the coast by a lagoon. When the ever-curious British discovered the islands in the 19th century, they undertook a survey of the group, and gave the islands incongruous yet charming names like Alexandria, Red Skin, Jolly Buoy, Grub, Snob, Riflemen and Tarmugli. Although tourist visits are restricted to Red Skin and Jolly Buoy isles, diving outfits can take you diving deep in the park in the corals by the many islets. At Wandoor I dive to a mere three metres, but that’s a fairly respectable depth for your first dive. I’m diving with Lacadives, which is one of the best diving outfits in the country, and has a great staff. 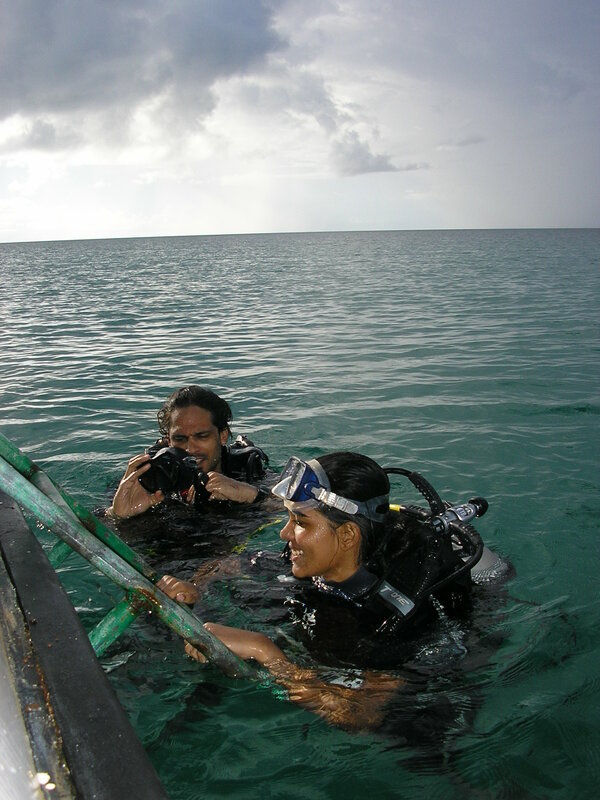 Although the bulk of their diving is based out of the Lakshwadeep atolls—hence the name—they also organise diving trips in the Andamans. Of the corals around Wandoor, Sumer Verma, Lacadives partner and a 3-star CMAS (Confédération Mondiale des Activités Subaquatiques) instructor, says: “The reefs are still in good condition, but there’s no denying the fact that human pressures and the warming El Nino currents are accelerating their rate of decline.” Recent government studies have declared the reefs around Wandoor to be in fairly robust health, and rich in life forms. The first dive is often cited as a life-changing experience. Sumer’s diving colleague Umeed Mistry says his first dive off the Maldives in 1996 so entranced him that he decided to take it up for a living. Brief though my dive is, I can imagine the wonderdivers feel in this radically alien environment of shifting light, darting schools of fish and strange life-forms. Clearly, like mountaineering, diving is a full-time passion. For a non-swimmer like me, it’s a shock to discover how difficult it is for someone to sink. Our bodies are so buoyant that a diver has to wear a ring of weights around his waist and deflate the air from the scuba harness to be able to sink. The steady, long breaths from the compressed air tank strapped to my back has a calming effect as I sink deeper, pausing every now and then to equalise. The marine world looks perfectly calm through my glasses. Schools of tiny fish—barely an inch in length—hover near my face, staring at me curiously. I poke at them with my finger, and they scatter, only to re-assemble in a flash. Among the larger ones is the parrot fish. Found in large numbers in the Indo-Pacific region, these part-time herbivores love reefs as these supply a wide variety of organisms towards their diet. I see a few of these dining out in the corals. Parrot fish are indiscriminate feeders, so to get to one tiny mollusk embedded in the coral, they’ll break off chunks of the reef with their tightly-packed, sharp little teeth only to be excreted as fine sand. In retrospect, its amazing to realise that much of Andaman’s beautiful beaches are formed by the coral debris excreted by fish like these! 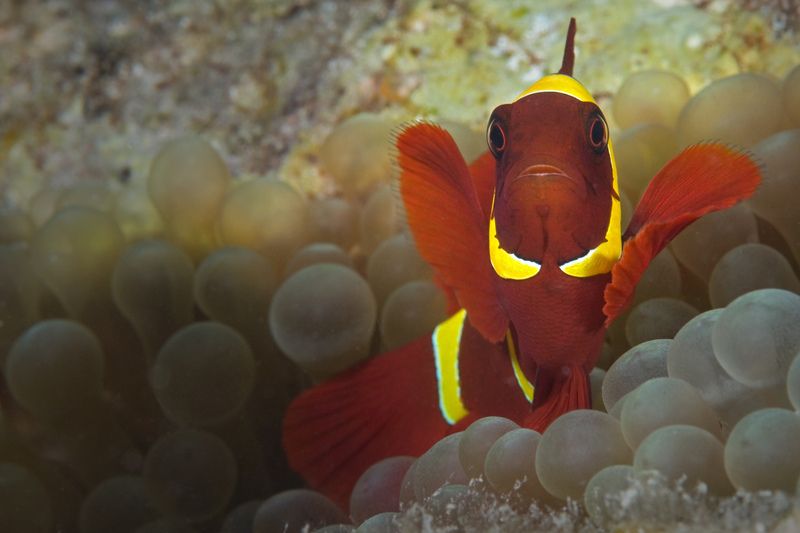 Then there are the poster boys of the reef: the clownfish. These anemone-fish have become synonymous with reefs ever since Finding Nemo was released almost a decade ago, but the Andamans are one of the few regions in the world that you’ll actually find them. I spot one hiding deep inside a sea anemone, with which the clownfish has a symbiotic relationship. But the best thing about diving is the profound silence of the sea. The only sound in this vast blue vault is the whoosh of bubbles rising from my breathing apparatus. Sitting on the sea-bed, I look up at the looming coral cliffs, and above it, shimmering beyond the surface, the world I have left behind for a dip into the unknown. Danke Julio. You must let me read some of your stuff sometime! Very happy to see you’re taking full advantage out there. I’m green with envy of course. Did you ever get that passport sorted out?